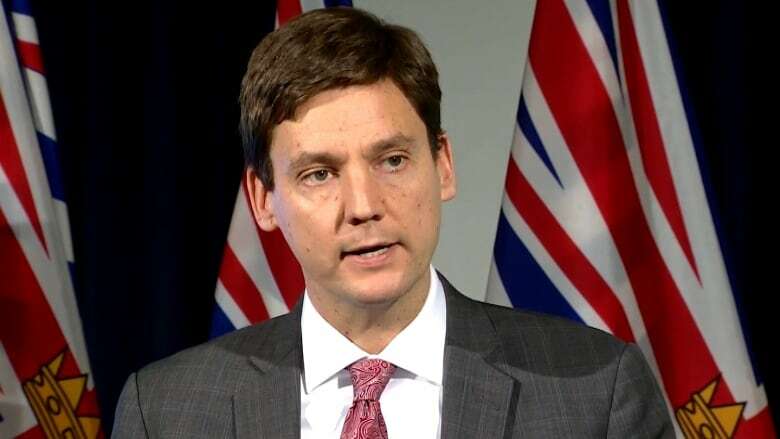 A statement issued Friday evening by Attorney General David Eby says concerns sparked by a Globe and Mail investigation will be the subject of a provincial review. B.C. 's attorney general says the province will look into how fentanyl, real estate and money laundering fit together in British Columbia. In a statement released Friday evening, David Eby said that Peter German, who is already looking into the prevalence of money laundering in B.C. casinos, will also look into the role money laundering plays in other areas of the province's economy. "The nature of these allegations, that this money-laundering activity is actively influencing our real estate market and is connected to the sale of life-destroying fentanyl, underline the critical importance of addressing money laundering urgently and not ignoring it," Eby said in the statement. "Our government will work to determine the scope of this issue, and what must be done to appropriately address it. We will ensure our investigation into money laundering in B.C. casinos is informed by these disturbing revelations." The statement referenced an investigation published Friday by The Globe and Mail. That investigation alleges that fentanyl dealers in B.C. are laundering the proceeds of drug sales by loaning it, at exorbitant interest rates, to wealthy Chinese tourists and newcomers to Canada who put up a Canadian property as collateral. When the borrowers repay the loan, or when the property is sold for whatever reason, the alleged drug dealers get their money back, clean. The Globe says the practice may be widespread. Eby on Friday called the allegations "very serious and deeply troubling." In his statement, he said real estate and tax policy is now within the scope of German's review.